The semi-hollow honours the legacy of the late legend. 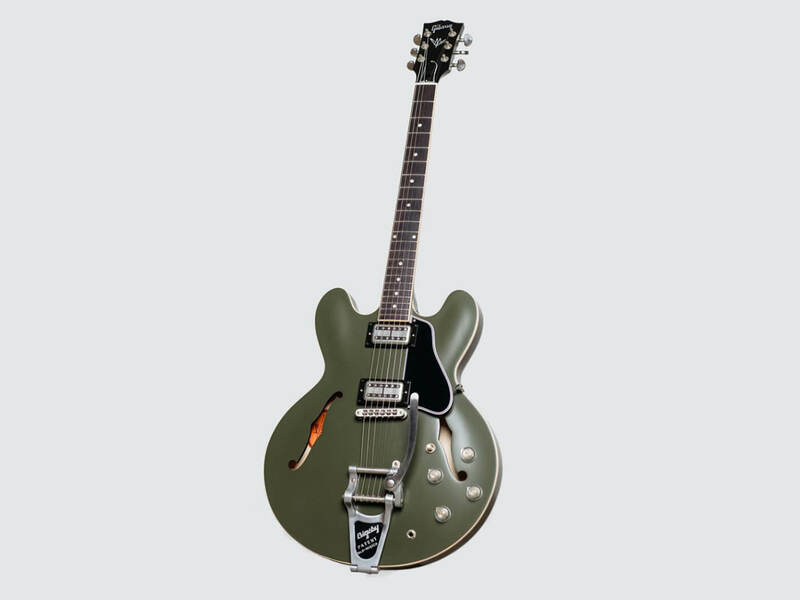 Gibson has released the limited-edition Chris Cornell Tribute ES-335. This special model will be unveiled today at I Am The Highway: A Tribute To Chris Cornell, a concert that pays homage to the singer’s enduring legacy. Modelled after Cornell’s original Gibson ES-335 signature piece, this axe boasts a few classy features. These include aged Lollartron humbuckers, clear No Number top hat knobs and a gorgeous Olive Drab Satin finish. As a final touch, the guitar’s peghead features a mother-of-pearl Chris Cornell ‘signature’ inlay. “It is our honour to release this tribute ES-335 in [Chris’] memory. It’s a guitar Chris fell in love with and which became a part of his creative expression,” said Cesar Gueikian, Gibson’s Chief Merchant Officer. Only 250 pieces of this model will be made available. Gibson will donate two of these guitars, in partnership with the show, to raise funds for two beneficiaries: The Chris and Vicky Cornell Foundation, and The Epidermolysis Bullosa Medical Research Foundation. I Am The Highway: A Tribute To Chris Cornell will take place Wednesday, 16 January. Find out more about the tribute concert here. The Chris Cornell Tribute ES-335 will be available worldwide from Spring 2019. More information at gibson.com.